Arched Door Frames and Arched Doors will make a beautiful entrance point for your Bristol or Bath home. However, locating a company that can manufacture and install them can be a challenge. At Polar Bear Windows Ltd we understand the challenges Arched Frames and Arched Doors can provide and our bespoke service meets these challenges head on. We have a variety of Arched Door Frames and Arched Doors available to meet your specific requirements be you based in Bristol, Bath or throughout the south-west. The multi-point locking (Anti-Bump, Anti-Pick, Anti- Drill, Anti-Snap, Anti-Extraction) system comes as standard. All our doors come with a 10 year security pledge which means we will replace any damaged window which has been forced open by a burglar. Our windows have never been reported to be broken into. 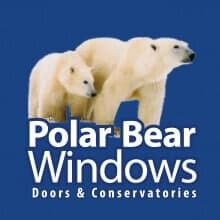 Award-winning service, 30 years industry experience and voted the best in Bristol for customer satisfaction; for service without compromise, always choose Polar Bear Windows. Take your pick of two, three and four-panel Arched Frame French Doors to make the view as panoramic as you wish at your Bristol or Bath property. We will supply and fit French doors in many different styles and finishes anywhere in the South West area. A lot of our customers are replacing their window with French Doors, giving them easy access and enjoying their outside space. Open them and you can step out easily to enjoy the weather. Allowing light to flood your room and increasing that wonderful feeling of space, our French doors bring the outside in and keep intruders out. Our Composite Door Collection is a breakthrough in door technology, combining proven levels of high security with incredible good looks, in fact, quite simply, it’s a door that possesses superior style with strength. The tough and durable exterior of our Composite Door has the true aesthetics of wood without the need for painting or varnishing, making it practically maintenance free. Prefer to talk to one of our designer about your free no-obligation quote? Book a home visit with our designer who will give you expert advice, show you sample products and take exact measurements.